For fans of Carl Sagan's writings and productions like Cosmos and The Demon Haunted World. No one else in recent memory did more to bring science to the masses than Sagan. Join a group of others who enjoy his work! Carl Sagan had a curious mind for his entire life. In his book The Demon Haunted World he lamented the death of curiosity in high school students that he attributed in part to parents' obsession with either having an answer or making a question sound stupid when asked by their children. Despite his critics, many in the scientific community itself, Sagan brought the human story of science to people, recognizing the responsibility to educate people in a way that spoke first to their humanity and second to their logic. We will do well to emulate this approach in the 21st century as we contend with all manners of illogic and unreason that he warned of in The Demon Haunted World. Did Carl Sagan influence you on the road to atheism? 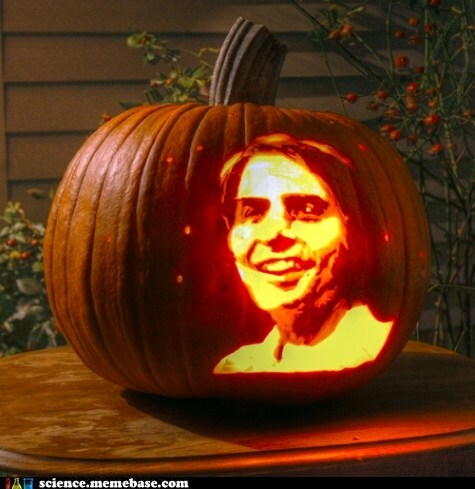 You need to be a member of Carl Sagan Fans to add comments! I'm happy to join this group. Carl was very dear to me. I predict he'll go down in history as the greatest educator of the century. Not as much for the information he taught but for the curiosity and enthusiasm for learning he inspired. Hey Kelvin, me too! Almost finished. There is so much good stuff in there. Currently reading the demon haunted world. Are you looking for the eBook?